Rosalina passes by toll booth! Minus 10 G! Toll booth prices expands to 20 G! Plus 10 G to Bowser! Shop prices for Rosalina's (110 G in value) Shop are now 22 G! Landing on that shop costs you 22 G! This will end up being a little different from the console Fortune Street Game, but I think it'll just be a tad crazier! 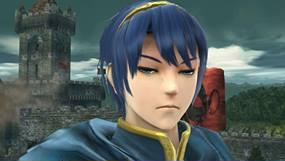 "As you were saying that I was finalizing Peach's Castle But Idk probs like in a half hour or so it should be done." Also I'll refer to you guys by your character's names. Let me know where you want to go! How on Earth do you get that code to work? In other words, I'm not telling so go take a class on HTML. Oh well. : Hey, trust me, not even with my most well trained magikoopas could I figure this magic out. Even after doing exactly everything she's done, I'm unable to control the atmosphere like this. Too bad, this theme doesn't really fit my entry into here much. : It's actually quite dangerous to use HTML code injections, which is why those who are able to do so are limited. Nothing against the Koopa King, even if he intends to use it for benign purposes. Zelda lands on shop and uses 280 g to buy shop. Zelda loses 20 g due to Bowser's toll booth. Bowser gains 20 g, toll booth expands to 30 g per pass. "Pikachu, it's time for you to strike down upon the Comet Observatory! Hopefully you won't cause a power outage though, as that would unfortunately cause us to loose our path and quite possibly fall to the Earth and die. Positive thoughts... Any ways, you rolled a: five! Pikachu lands on heart, allowing him to select a venture card! Come on Pikachu, hurry up. The venture card was the number 4! "Moneymaking venture! Roll the die and get 40 times the number shown in gold coins from the player in first place!" You rolled a five! You get 200 g from Bowser! "It's your turn Bowser! Come on, don't lose to a lousy Pikachu!!!! You rolled a 5!" : GAHHHH, I just earned some of that cash and it's already going away? NOT FAIR! Well, guess I gotta go earn it all back now - that little rodent will pay for avoiding my toll booth and taking my cash! To do that, first, I'm going to need another shop! Since the one going up is too expensive now, guess I can only go for the on to the left. Also why are we playing with the other board at the same time with the venture cards? : I do hope it's not to shut us out of venture chaining and gaining extra funds, because that would not be in good faith~ Surely the King of the Koopas agrees with me on this one?